Awesome Turnout for This Week’s @HashtagSkirmish Game #MyCureForLoneliness! We Trended #3 in the US and Canada with well over 4,000 Responses by Over 1,500 Users so THANK YOU EVERYONE who played along! 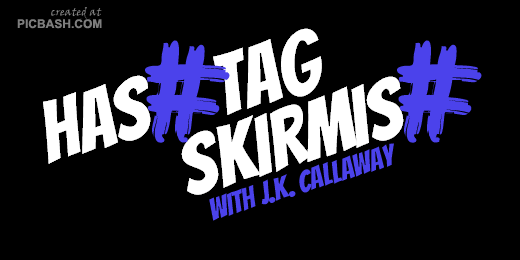 Join us December 16th for our next @HashtagSkirmish Game! #MyCureForLoneliness are all of you Tweeps! #MyCureForLoneliness I have a big family- I'm never alone. Ever. Seriously. Help. Here is one who rarely feels lonely because of all the AWESOME Hashtagger Love I receive from this AMAZING Community… JK Callaway! And Now… Here is our Top10 for December 9th, 2015’s @HashtagSkirmish Game #MyCureForLoneliness! #MyCureForLoneliness is hanging out on Twitter and pretending I have friends.